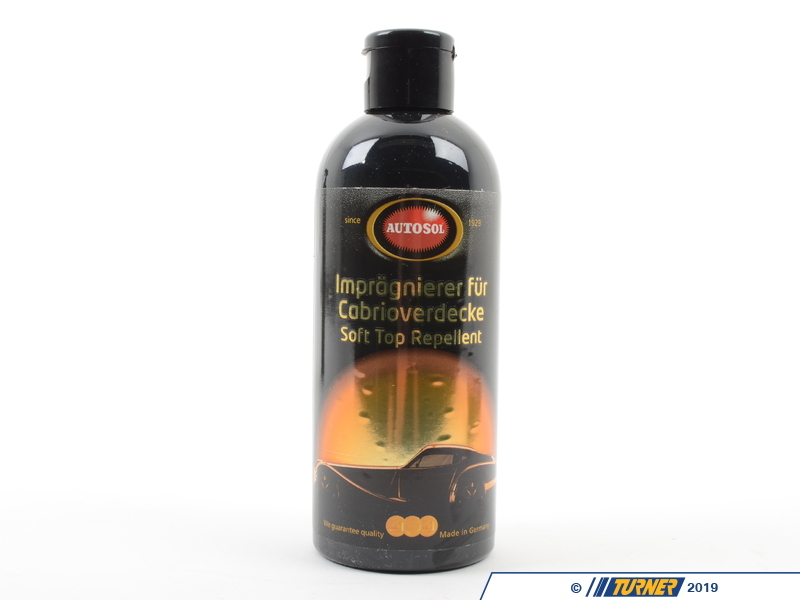 Autosol's Convertible Top Cleaning Kit is a complete restoration kit for your canvas convertible top and plastic rear window. 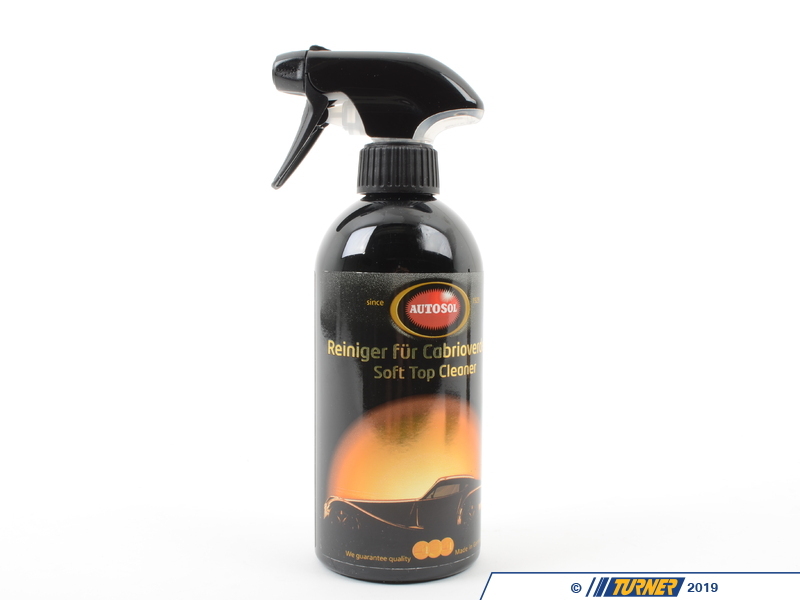 This package is an all-in-one solution for cleaning and protecting the fabric convertible top. 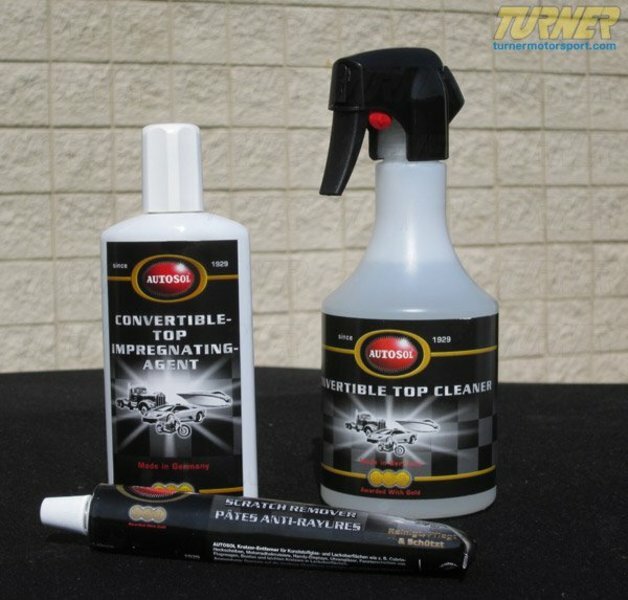 Package includes Convertible Top Cleaner, Convertible Top Impregnating Agent (sealant and protectant), and Plastic Scratch Remover. First use the cleaner to remove dirt and stains. 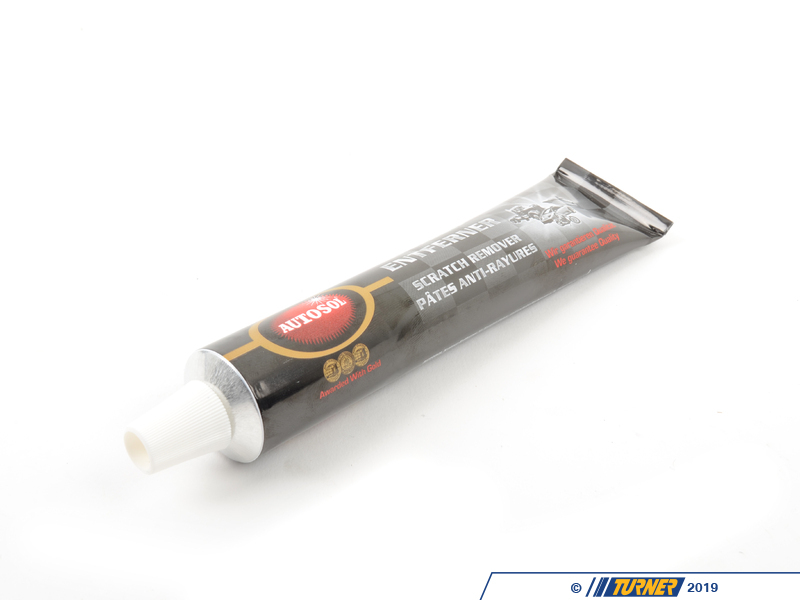 Then follow-up with the fabric treatment to preserve the color and protect against UV damage. Remove scratches, clean, and polish the plastic window back to its original clarity. 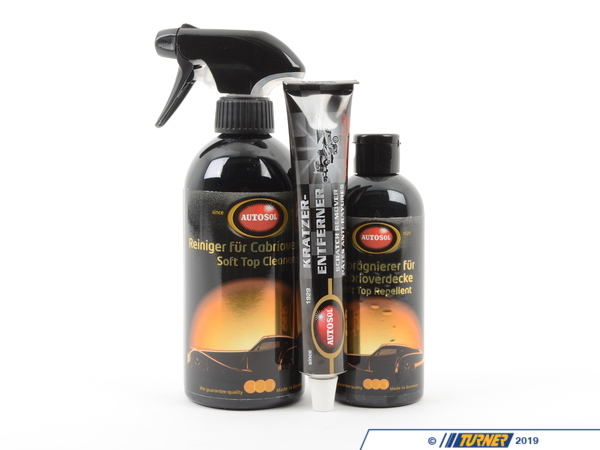 Autosol is Made in Germany, and an OEM supplier to BMW for many of their Genuine BMW car care products.